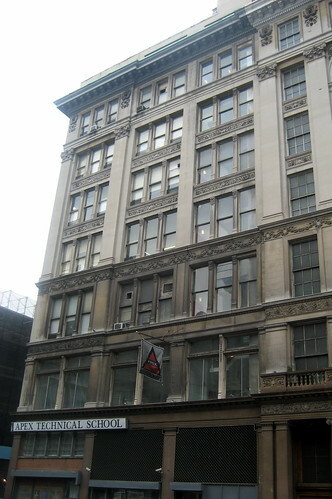 This 7-story limestone building on 6th Avenue was originally Simpson Crawford & Simpson, later Simpson Crawford, a dry goods store, and was designed by William H. Hume & Son in 1900. Today it houses Apex Technical School. Apex Technical School has provided companies with more than 15000 skilled graduates since its founding in 1961.